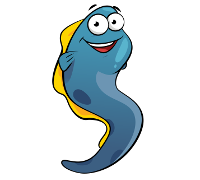 Eel is a toolkit for manipulating data in the hadoop ecosystem. By hadoop ecosystem we mean file formats common to the big-data world, such as parquet, orc, csv in locations such as HDFS or Hive tables. In contrast to distributed batch or streaming engines such as Spark or Flink, Eel is an SDK intended to be used directly in process. Eel is a lower level API than higher level engines like Spark and is aimed for those use cases when you want something like a file API. Querying, streaming or reading into memory (relatively) small datasets directly from your process without reaching out to YARN or similar. Here are some of our notes comparing eel to other tools that offer functionality similar to eel. Sqoop executes N configurable Hadoop mappers jobs which are executed in parallel. Each mapper job makes a separate JDBC connection and adapts their queries to retrieve parts of the data. To support the parallelism of mapper jobs you must specify a split by column key and Hive partitioning key columns if applicable. With this approach you can end up with several small part files (one for each mapper task) in HDFS which is not the most optimal way of storing data in Hadoop. Flume supports streaming data from a plethora of out-of-the-box Sources and Sinks. Flume supports the notion of a channel which is like a persistent queue and glues together sources and sinks. The channel is an attractive feature as it can buffer up transactions/events under heavy load conditions – channel types can be File, Kafka or JDBC. Flume requires an additional maintenance of a Flume Agent topology - separate processes. A dataset is essentially a Hive table - the upcoming EEL 1.2 release you will be able to create Hive tables from the CLI - at the moment it’s possible generate the Hive DDL with EEL API using io.eels.component.hive.HiveDDL$#showDDL. For writing directly to AVRO or Parquet storage formats you must provide an AVRO schema – EEL dynamically infers a schema from the underlying source, for example a JDBC Query or CSV headers. Support for ingesting from storage formats (other than AVRO and Parquet) is be achieved by transforming each record/row with another module named Kite Morphlines - it uses another intermediate record format and is another API to learn. EEL supports transformations using regular Scala functions by invoking the map method on the Source’s underlying DataStream, e.g. source.toDataStream.map(f: (Row) => Row) – the map function returns a new row object. Kite currently doesn’t support Kudo – EEL does. Kite stores additional metadata on disk (HDFS) to be deemed a valid Kite dataset – if you externally change the Schema outside of Kite, i.e. through DDL then it can cause a dataset to be out-of-synch and potentially malfunction - EEL functions normally in this scenario as there is no additional metadata required. Kite handles Hive partitioning by specifying a partition strategies – there are a few out-of-the-box strategies derived from the current payload – with EEL this works auto-magically by virture of providing the same column on the source row, alternatively you can add a partition key column with addField on the fly on the source’s DataStream or use map transformation function. The core data structure in Eel is the DataStream. A DataStream consists of a Schema, and zero or more Rows which contain values for each field in the schema. A DataStream is conceptually similar to a table in a relational database, or a dataframe in Spark, or a dataset in Flink. DataStreams can be read from a Source such as hive tables, jdbc databases, or even programatically from Scala or Java collections. DataStreams can be written out to a Sink such as a hive table or parquet file. The current set of sources and sinks include: Apache Avro, Apache Parquet, Apache Orc, CSV, Kafka (sink only), HDFS, Kudu, JDBC, Hive, Json Files. Once you have a reference to a DataStream, the DataStream can be manipulated in a similar way to regular Scala collections - many of the methods share the same name, such as map, filter, take, drop, etc. All operations on a DataStream are lazy - they will only be executed once an action takes place such as collect, count, or save. For example, you could load data from a CSV file, drop rows that don't match a predicate, and then save the data back out to a Parquet file all in a couple of lines of code. "INSERT INTO PERSON VALUES ('Alice', 50, 99999.98, CURRENT_TIMESTAMP())"
val query = "SELECT NAME, AGE, SALARY, CREATION_TIME FROM PERSON"
The JDBCSource takes a connection function and a SQL query - it will execute the SQL and derive the EEL schema from it - also notice the withFetchSize which caches the number of rows per fetch reducing the number RPC calls to the database server. The map function performs some transformation - it simply adds a new column called title which figures out whether the value should be Mr or Mrs - title is defined as a partition column key on the Hive table. HiveSink on the to method specifies the target Hive database and table respectively. withIOThreads on the HiveSink specifies the number of worker threads where each thread writes to its own file - the default is 4. This is set to 1 because we don't want to end up with too many files given that the source only has 3 rows. withInheritPermission on the HiveSink means that when the sink creates new files it should inherit the HDFS permissions from the parent folder - typically this is negated by the default UMASK policy set in the hadoop site files. Note the HiveSink takes care of automatically updating the HiveMetaStore when new partitions are added. There should be 2 files created by the HiveSink one in the partiton for title called Mr and one in Mrs.
column pruning or schema projection which means providing a read schema - the reader is interested only in certain fields but not all fields written by the writer. The Parquet and Orc columnar formats does this efficiently without reading the entire row, i.e. only reading the bytes required for those fields. HiveSource specifies arguments for the Hive database and table respectively. Specifying a partition key on the HiveSource using the method withPartitionConstraint restricts the predicate being performed on a specific partition. This significantly speeds up the query, i.e. avoids an expensive table scan. The withPartitionConstraint method homes in on the title partition whose value is Mr and peforms filtering on it using the withPredicate. If you have the avro-tools installed on your system you can look at its native schema like so - alternatively use the AvroSource to read it back in - see below. The above schemaInferrer object sets up some rules for mapping field name AGE to an int, Salary to a Decimal and a field name ending in TIME using REGEX to a Timestamp. Note the first parameter on SchemaInferrer is StringType which means that this is the default type for all fields. Storage formats Parquet and Orc support nested types such as struct, map and list. A struct is encoded as a list of Fields with their corresponding type definitions. The first Vector, e.g. val rows = Vector(...) is a list of rows - 3 in this case. Notice that parquet encodes the struct as group of columns. On the Parquet file just written we can create a Hive External table pointing at the HDFS location of the file. The location /client/eel_struct is the root directory of where all the files live - in this case its the root of folder of the Parquet write in step 4. HiveQL has some nice features for cracking nested types - the query returns scalar values for name and age in the person_details structure. EEL supports Parquet ARRAYS of any primitive type including structs. The following example extends the previous example by adding another column called PHONE_NUMBERS defined as an ARRAY of Strings. Notice PHONE_NUMBERS is represented as a repeated UTF8 (String) in Parquet, i.e. an unbounded array. HiveQL has some nice features for cracking nested types - the query returns scalar values for name and age in the person_details structure and phone numbers from the phone_numbers array. The parquet source will read from one or more parquet files. To use the source, create an instance of ParquetSource specifying a file pattern or Path object. The Parquet source implementation is optimized to use native parquet reading directly to an eel row object without creating intermediate formats such as Avro. Parquet as a file format supports predicates, which are row level filter operations. Because parquet is a columnar store, row level filters can be extremely efficient. Whenever you are reading from parquet files - either directly or through hive - a row level filter will nearly always be faster than reading the data and filtering afterwards. This is because parquet is able to skip whole chunks of the file that do not match the predicate. To use a predicate, simply add an instance of Predicate to the Parquet source class. Multiple predicates can be grouped together using Predicate.or and Predicate.and. The parquet source also allows you to specify a projection which is a subset of the columns to return. Again, since parquet is columnar, if a column is not needed at all then the entire column can be skipped directly in the file making parquet extremely fast at this kind of operation. To use a projection, simply use withProjection on the Parquet source with the fields to keep. The Hive source will read from a hive table. To use this source, create an instance of HiveSource specifying the database name, the table name, any partitions to limit the read. The source also requires instances of the Hadoop Filesystem object, and a HiveConf object. The partition clause accepts an operator to perform more complicated querying, such as less than, greater than etc. For example to read all rows which have a year less than 1975 we can do: HiveSource("mydb", "mytable").withPartition("year", "<", "1975"). The Hive sink writes data to Hive tables stored in any of the following formats: ORC (Optimized Row Columnar), Parquet, Avro, or Text delimited. To configure a Hive Sink, you specify the Hive database, the table to write to, and the format to write in. The sink also requires instances of the Hadoop Filesystem object, and a HiveConf object. Dynamic Partitioning If set to true then any values on partitioned fields that are new, will automatically be created as partitions in the metastore. If set to false, then a new value will throw an error. Eel is released to maven central, so is very easy to include in your project. Just find the latest version on maven central and copy the includes. libraryDependencies += "io.eels" %% "eel" % "1.3.0-a9"